Exceptional White & Blue French Enameled Coffee Pot Biggin with Filter, with a beautiful decorative classic pattern or design, perfect for your French Country or Farmhouse styled home. 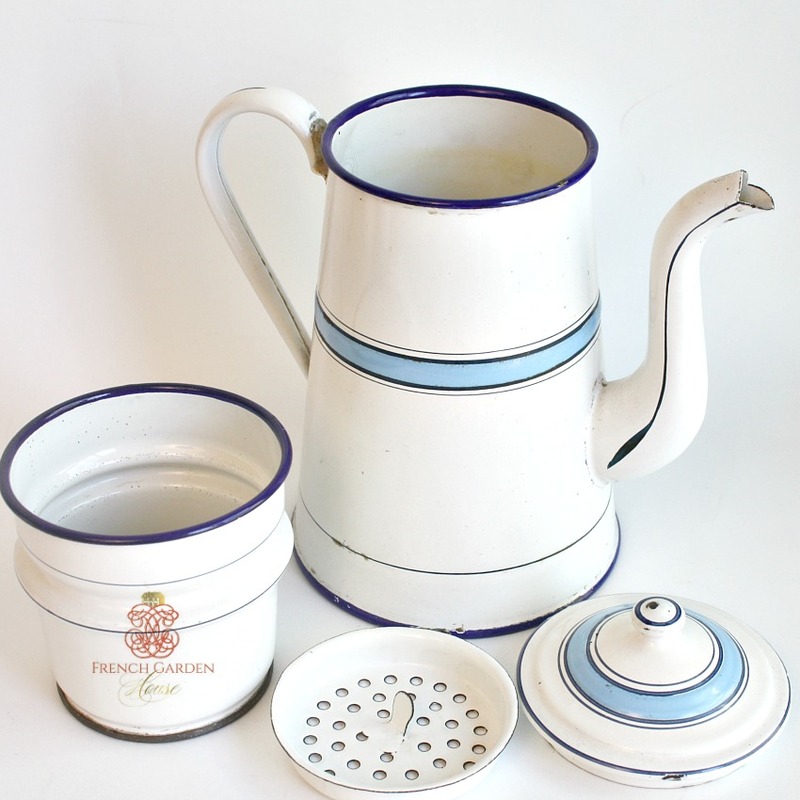 This rare to find charmer was made by the renowned Japy Frères in France, it will surely be appreciated by fans of enamelware. 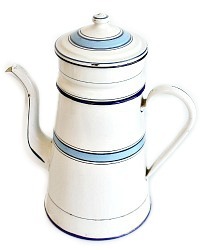 This has such alluring blue colors, the decorative stripes are in navy and French bleu. In very good antique condition, from a collector, I rarely find Japy pieces like this! Never used on the fire. Enameled pieces that survived home use at the turn of the century were turned in for WWII metal scrap drives. 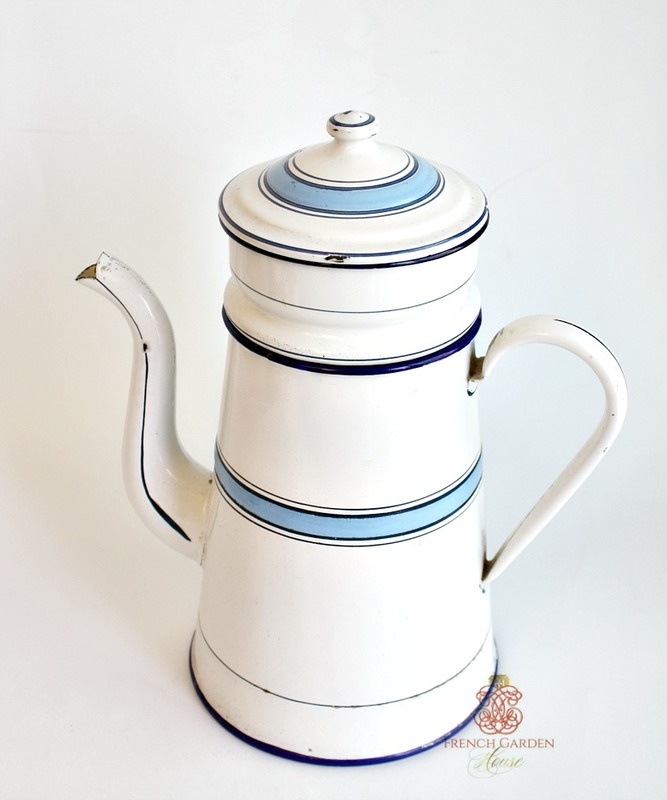 This coffee pot has the expected wear commensurate with the age and use of the piece, a very few minor chips. Displays wonderfully with your other 19th century antiques for your cuisine. 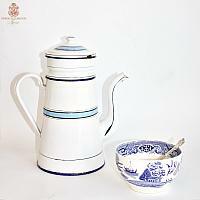 Please look at the other pieces that match, an instant collection!